The time for believing in Unicorns is here with the new edition of Bailey's best selling caravan range. With so many layouts to choose from, you'll be spoiled when it comes to picking the one that's right for you. 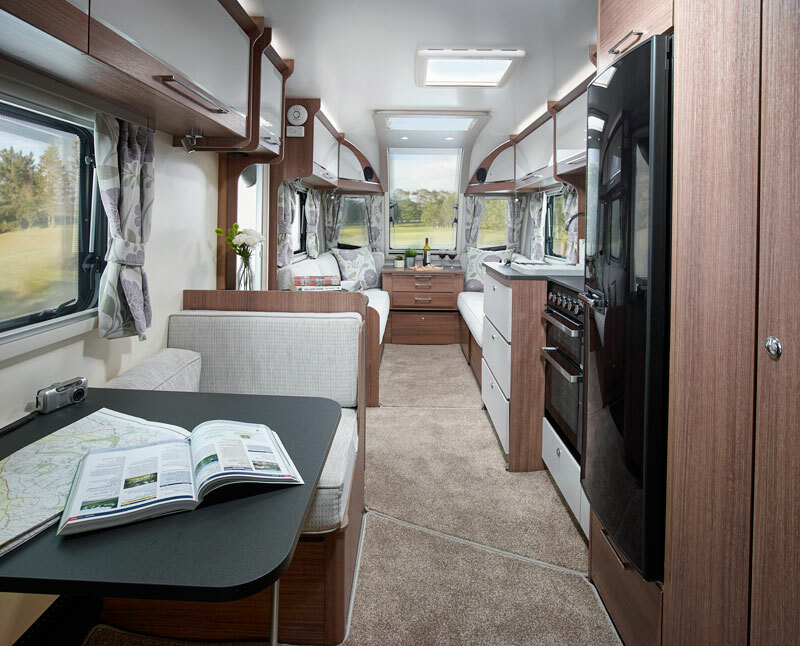 The fourth-generation of the UK's best selling premium caravan range is available in a choice of eleven popular layouts. 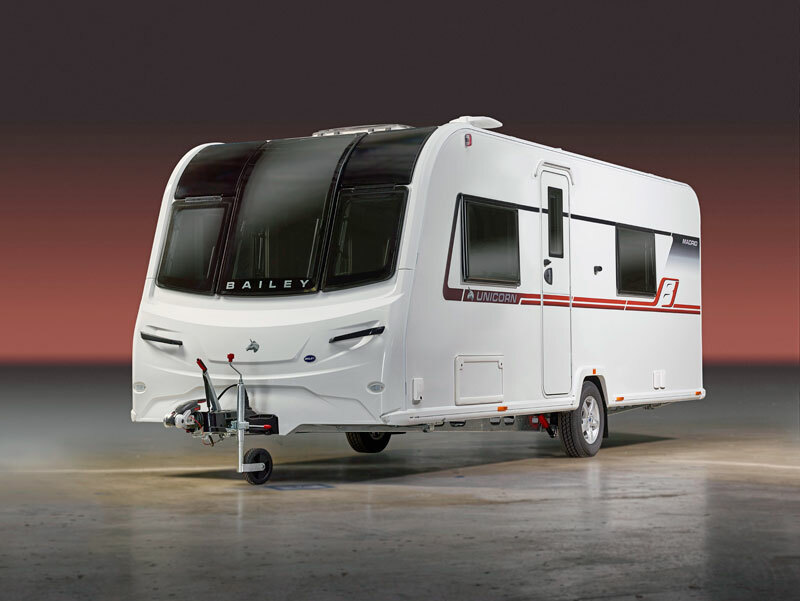 Patented Alu-Tech bodyshell, complete with GRP outer skin, offers greater protection against the elements to keep owners comfortable, safe and secure all year round. Light and spacious interiors have been significantly reconfigured to provide owners with longer seats, longer beds and more worktop space in most models. 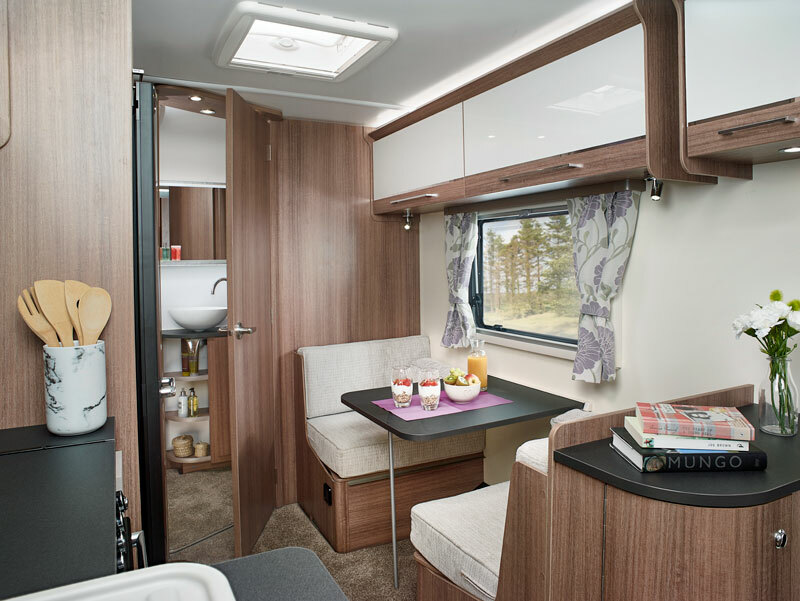 Featuring the design DNA found in premium Bailey motorhomes, Unicorn recieves a dramatic new look, both inside and out, to give models that unmistakable touch of class. Top of the range specification including a 100 watt Truma solar panel, Dometic slim-line large capacity tower refrigerators in all models and an upgraded DAB Radio/CD/MP3 player with Bluetooth and USB connectivity. A fully specified Alde programmable central heating system combines with market leading insulation of Alu-Tech body shell to make Unicorn a genuine four-season vehicle. Superior safety and security package including the AL-Ko Trailer Control Syatem, AL-KO Secure wheel lock, TyrePal TPMS and a new Tracker Monitor Stolen Vehicle Recovery System with integral intruder alarm. New Large two drawer front chest with slide out occasional table and soft close drawers. NEW pedestal washroom hand basin with ceramic ball mixer tap. If you are interested in learning more about the Unicorn Madrid, please fill in your details below and we'll get back to you with more information. Fields marekd with an asterisk (*) are required. A little bit more about your favourite Bailey range.